Buy Xiaomi Redmi 1s, with the best method that is available presently will guarantee you complete adding of Redmi 1s to the cart. In the last sale on September 2nd, Redmi 1s was sold out in 4.2 seconds. 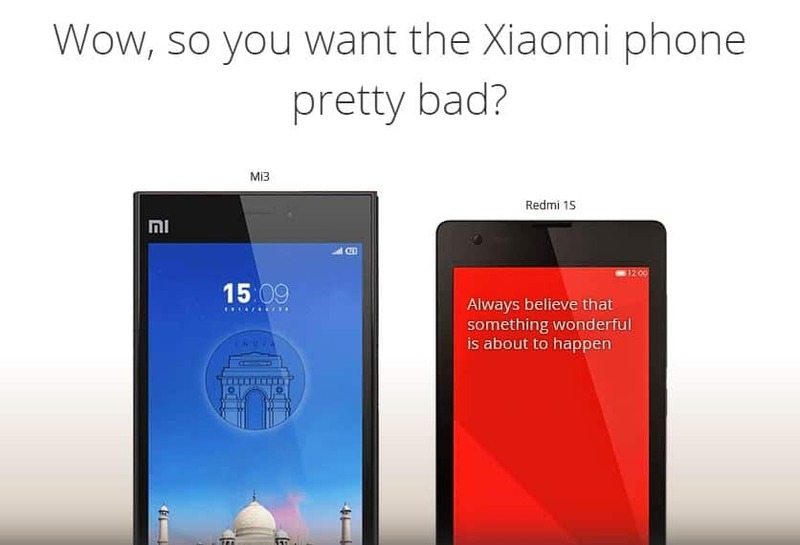 The total of 40,000 units were sold on the first sale of Redmi 1s, which superseded the sales of its sibling “Xiaomi Mi3”. Now flipkart is targeting to increase the sale of Redmi 1s to reach the maximum number of people this Sep 9th. Sep 9th is other big day for flipkart again to make huge business with this phone. We are predicting, in the next sale on Sep 9th, all the stocks of Xiaomi Redmi 1s could complete in 3.5 seconds. 1. Ensure that you have registered on Flipkart for the Redmi sale beforehand so that you are eligible for the purchase. The registration link can be found here. Install the Chrome plugin from buyhatke. Click here for the plugin. 3. Upon right clicking the extension icon (looked like a rupee bag symbol on top right in chrome) , selected options and checked boxes for automatically adding Xiaomi devices (Redmi 1s) to cart and clicked on save settings. 5. When the sale was about to start in about 10-15 minutes, once again repeat the step 3 , and this time it automatically openes a new tab in chrome with timing counter at bottom of the page. 6. Kept this page open and untouched and open the flipkart page in different browser to enable manual mode of adding Redmi 1s to cart. This prevents the chance of losing the Redmi 1s through auto adding by buyhatke. 7. When the sale begins , Just click the buy now button from a different browser, in which buyhatke is not installed as plugin. There are instances that the browser without the plugin could hang. But the counter running in the chrome tab with the Buyhatke plugin can automatically add the Redmi 1s to the cart. 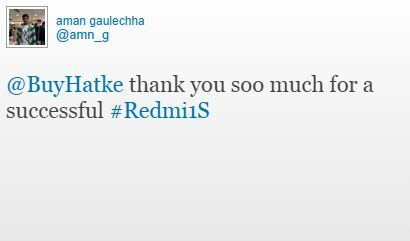 We previously added Redmi 1s into the cart using “Buyhatke” plugin, where the plugin can make 2000+ attempts in very milli seconds. Once you are successful in adding the Redmi 1s to cart, You will a window like this. See below. For alternative tips and tricks for adding Redmi 1s to cart, Read more. Next articleMicromax Canvas Nitro: A competitor of Moto G from Micromax?